After 11 years of hoping and praying for a child, Ruggero and Maria Theresa Badano welcomed their daughter, Chiara Lucu, on October 29th, 1971. Born in the small Italian village of Sassello, she was considered a beautiful and simple child; Chiara exhibited an acute awareness and compassion for the poor and suffering, especially drug addicts and persons with mental illness. The simple, beautiful child grew into a vivacious and active youth filled with zest and love for life. She enjoyed swimming, outdoor actives, and socializing with friends. In 1980, Chiara became involved in the Focalare Movement and an active member in her local youth group. Chiara, though virtuous and unique, enjoyed being a modern teenager. As her impending death approached, Chiara encouraged her mother, “When you’re getting me ready, Mum, you have to keep saying to yourself, ‘Chiara Luce is now seeing Jesus.’” With her friends and family present, Chiara Luce died October 7, 1990. Her last words were: “Goodbye. Be happy because I’m happy.” Her family buried her in a wedding dress as requested. When Chiara died, I was one year old. Her first confirmed miracle involved a young Italian boy dying from meningitis induced organ failure. His parent’s asked for Chiara’s intercession. A panel of doctors ruled that there was no medical explanation for the boy’s full recovery. 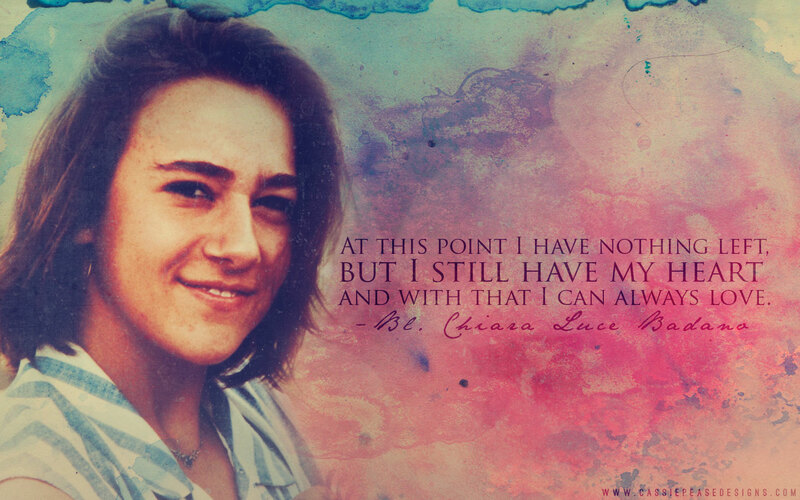 On September 25, 2010, Pope Emeritus Benedict VXI beatified Chiara Luce Badano- the first blessed from Generation X.
Bl. 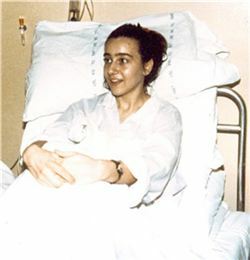 Chiara Luce Badano, pray for us! Why did I choose Bl. Chiara for my blog patron? 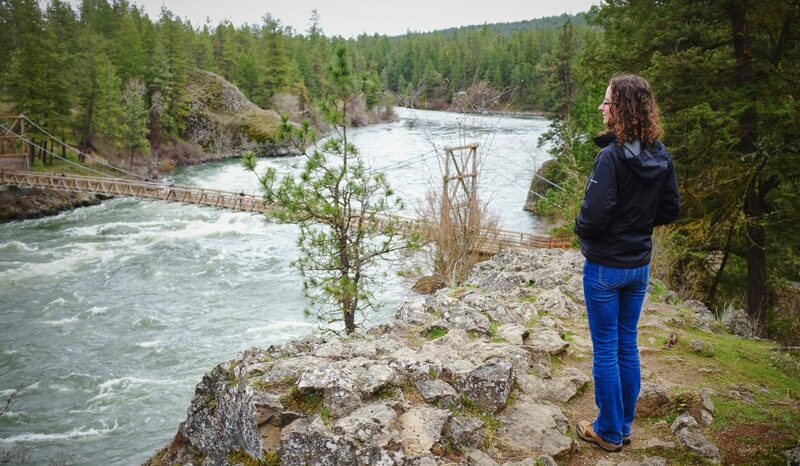 I stumbled into her story and witness during a period of intense medical fragility and complexity in my life. I became dehabilitated. I was lost. More doors and windows were shut than opened. Then the Holy Spirit guided me to this young woman who died around the time I was born. I felt an instant connection. I felt hope. When I decided to chose a patroness for my blog, I chose her. I believe in the Communion of Saints. She helped me ad continues to intercede for me. And I want to share her heroic virtue and story with the world- even just a small corner.